Like anything else, an automobile can evoke mixed feelings. This is especially true for the 2019 Acura RDX, which marks the third generation of Acura’s midsize SUV. The luxury automaker offers a pair of SUVs, and the RDX is the first to get a makeover. This is a good thing, because the previous generation of Acura SUVs and crossovers feel dated compared to those from the likes of BMW, Audi, and Volvo. With the RDX, Acura has largely succeeded in making a stylish vehicle that is genuinely fun to drive. At the same time, it has the feeling of a new, first-generation Apple product with unexpected bugs hitting at strange times. Driving the current generation of Acuras, Infintis, and Lexuses (Acurae, Infiniti, et Lexi?) has largely left me feeling cold. By and large, they are fine SUVs, but for a few thousand dollars more, European carmakers offer a better all-around experience—especially with the infotainment and driver-assist features. The Acura RDX really has the potential to change that. It’s the first vehicle from one of the Japanese-owned luxury carmakers that I felt could hold its own against a BMW X3, Volvo XC60, Alfa Romeo Stelvio, or Audi Q5—at least until the bugs started popping up. 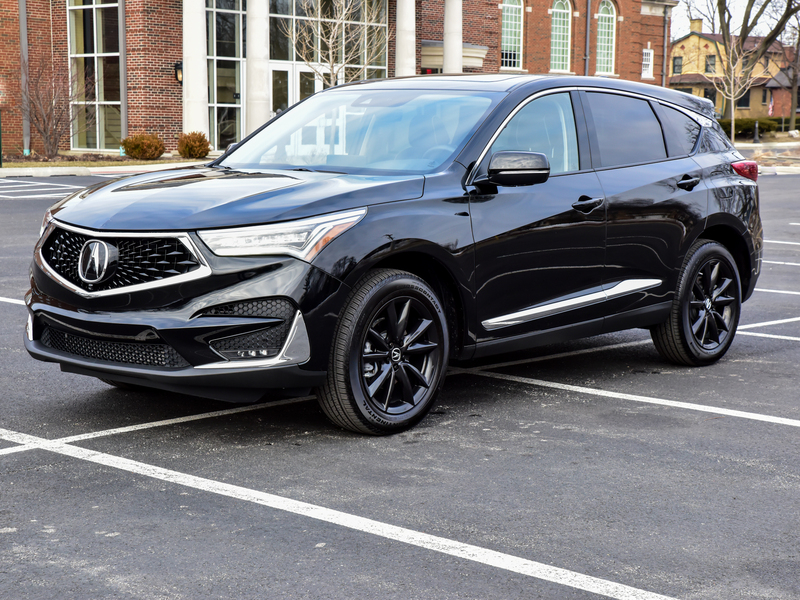 The RDX is the smaller of Acura’s two SUVs, and this year’s refresh sees a number of substantive changes from the second-generation model. Gone is the 3.5-liter V6, replaced by the de rigeur 2.0L, direct-injected, inline-four turbocharged engine common to compact crossovers. In the case of the RDX, it translates to 272hp (200kW) at 6,500rpm—trailing only the Stelvio from the previous paragraph—and 280lb-ft (380Nm) of torque at anywhere from 1,600rpm to 4,500rpm. Acura accomplishes this in part with a mono scroll IHI turbocharger with a small-diameter and low-inertia turbine, which enables the turbo to build boost at lower RPMs. For the driver, that translates into quick throttle response at most speeds.